Please note we are experiencing technical issues with payments at the moment. You can submit your application and submit the £400 security deposit payment now, however the £100 booking fee will be charged to you once you receive your GradPad portal log in details from the GradPad Team. Large and spacious, our Premium Studios provide ample storage, a double bed (190cm, x 135cm) and a larger kitchenette than the Standard Studios. 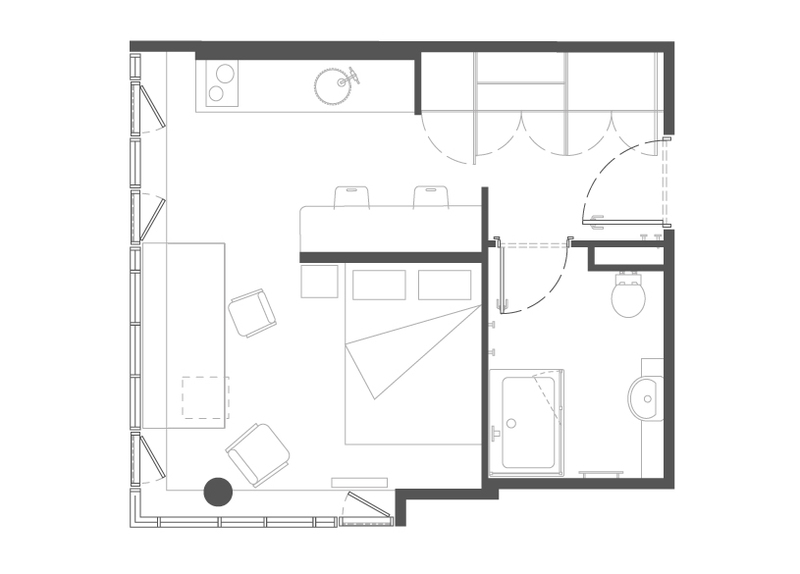 Premium Upper Level Studios are located on floors 6, 7, 8 and 9. Please note we are experiencing technical issues with payments at the moment. You can submit your application and submit the £400 security deposit payment now, however the £100 booking fee will be charged to you once you receive your GradPad portal log in details from the GradPad Team. 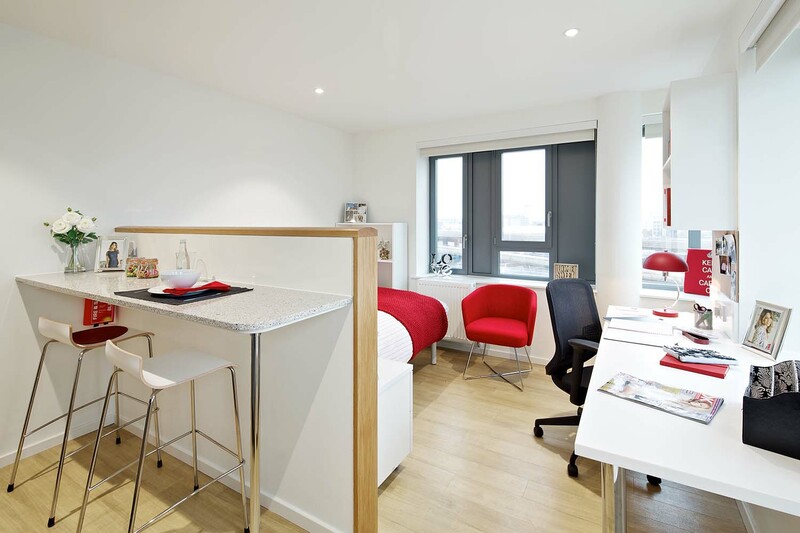 Large and spacious, our Premium Studios provide ample storage, a double bed (190cm, x 135cm) and a larger kitchenette than the Standard Studios. Premium Lower Level Studios are located on floors 1,2, 3, 4 and 5.